It feels like October just started and we are already heading into November next week! 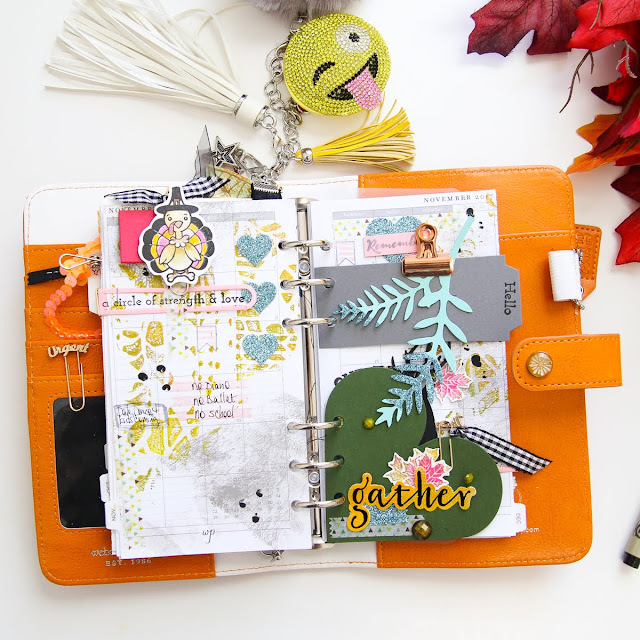 That means it's time to decorate my November monthly view in my personal Fun Stampers Journey Citrus Cooler planner! I will admit first that this was more of a creative therapy than planning, but for my monthly view, I still incorporate the planning and the 'view' of what the month looks like. I like to save more of the details for my weekly view inserts. 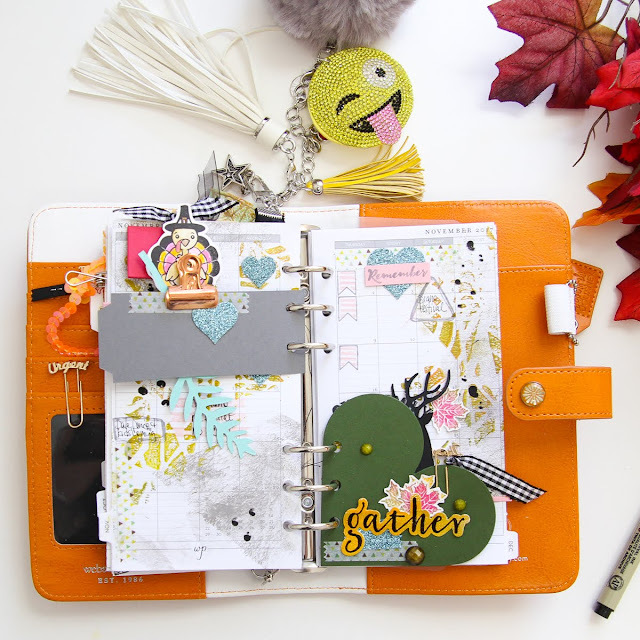 If you did not see my previous post using the gel press with the planner, you can see that here. I absolutely loved the effect I got, and wanted to do it again, but I took it a step or two or three (LOL) further! First I did a light squirt of River Stone paint onto the gel press, and spread that out with the brayer, making sure to move it in different directions. The first layer look I wanted was kind of like a dry paint brush being swept across the pages. Another way to get this look is to not press your entire page into the gel press. I only pressed sections of my pages at a time. Once each page was done, I then laid the Nature Collage stencil on the gel press, squirted Green olive, Lemon Drop, and Citrus Cooler, then using the brayer, pressed really good to get that paint into the grooves of the stencil. Lifted the stencil, then pressed the Fluttering Hearts Gel Impressions plate into it (I left the clear back on to help lift it), then pressed the Fluttering Hearts onto my pages, but again, not the entire page, just sections until I was happy with the look. I love the look of seeing the hearts and the patterns, this gives a really nice layer of texture and without any sharp lines. Next, using the leftover paint on my brayer, I blended that onto the gel press and pressed the Harvest Wreath into the paint (you'll see that piece later). The idea is to use up the leftover paint and make some other impressions to use. I used a leftover pressed piece of Whip Cream cardstock and embossed in black "gather" above to decorate the Journey Days Love Tab. Before I finished with the paint, I used the small stylus from the Bloom Tool, dipped it in Black Licorice paint and added some dots. I loved all of the layers from the paint, so I kept that going with other elements. I trimmed this Journey Days Create a Tab piece in River Stone to fit just at the top. 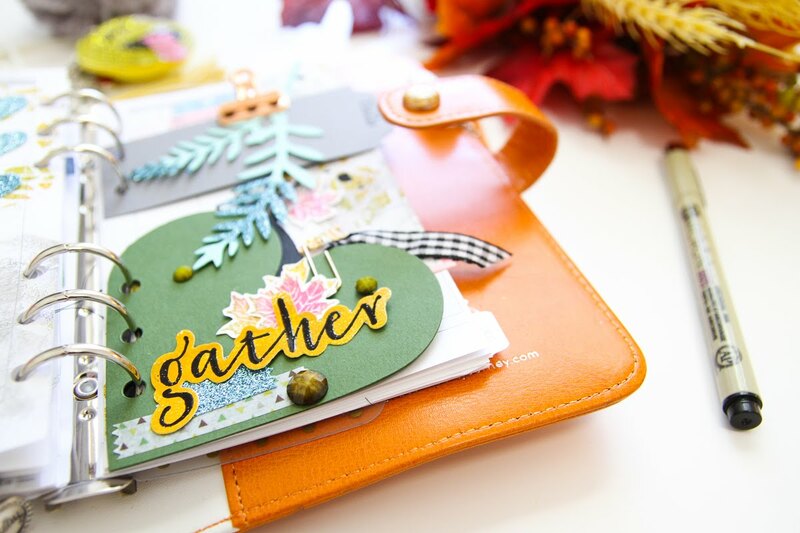 Using washi on the Cool Pool cardstock, I die cut the leaf from the new Timeless Foliage steel rule die, and clipped in place. And for the turkey, I colored him with the Color Splash watercolor pencils. I really like to have something on the front and back of the tabs, or at least that can be seen from either side. 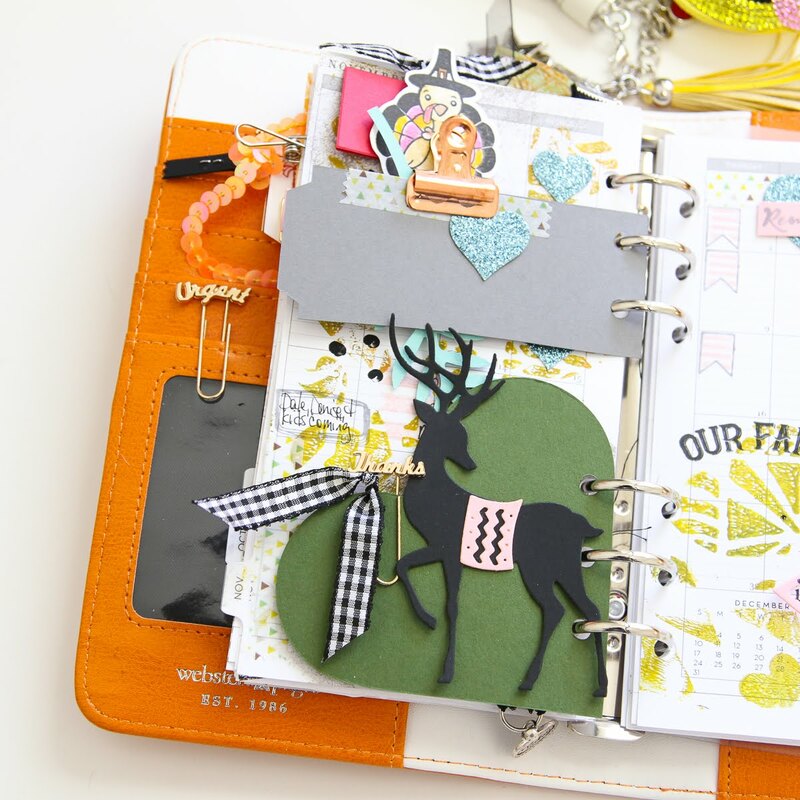 Even though the Dashing Deer is intended for Christmas, I also think deer fit perfectly for November themed spreads. I kept my colors to Fall, but I wanted softer and more feminine colors, so I brought in the Bubble Gum using cardstock and ink. 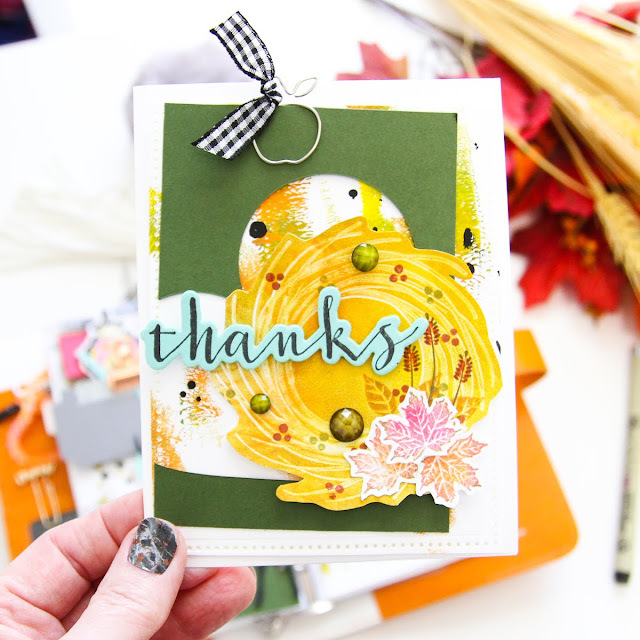 My Fall leaves from the Harvest Wreath stamp set are stamped with Green Olive, Citrus Cooler, and Sweet Berry. They complement my colors. I brought in some of the Clips die cuts in Bubble Gum and added some stamping to my pages with the Family Forever stamp set. This is a gorgeous set and it is perfect for the Holidays. If I did not use the gel press, I would have used the tree stamp. Just a gorgeous set! I looked for stamps that would fit inside the clips and still go with the theme of Thanksgiving. Another way I brought in the washi tape was by lining a piece of cardstock with the sparkle Cool Pool tape, and then using the Love Is Punch. 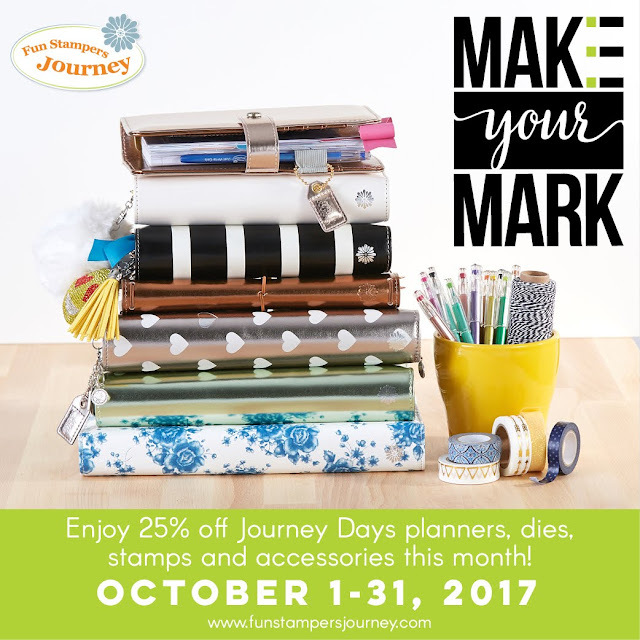 For more of the planning part of my month, it serves to mark my Mother's birthday (to wish her a happy birthday in heaven), and I used them to mark piano days for my daughter. 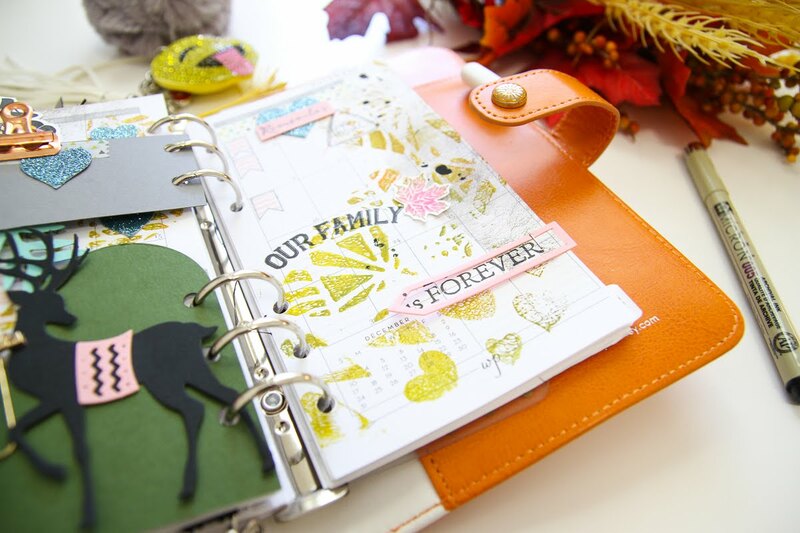 It serves a purpose and adds to the heart theme I started with the impression plate and adds color and texture. I used the banner stamp from Planner Elements stamp set to identify ballet days. 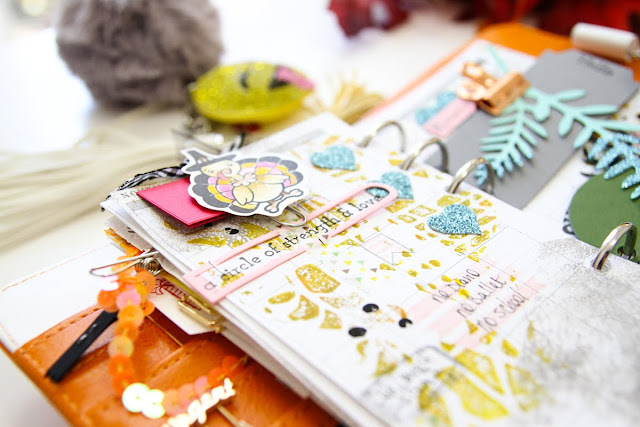 And you'll see I added some of the Planner Sketch stamps to some of my entries to give them focus. I left everything else open to add more entries or add photos. So here is where I used the print I got from stamping the wreath while I still had all that beautiful paint. Instead of 'inking' my stamp and stamping with it, I pressed my cardstock into the gel press with the paint and impression of the stamp. I got a variety of colors and can even see some of the collage come through. 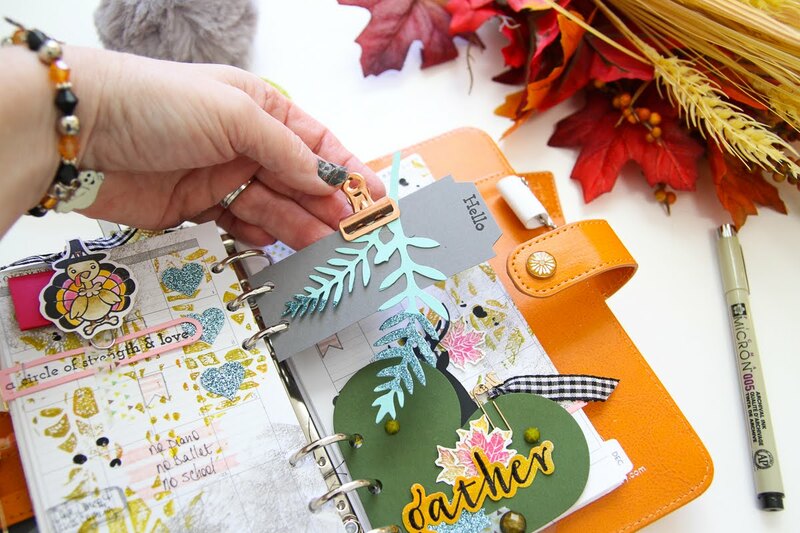 I also used the leftover piece from die cutting the love tab for my planner. Before I cleaned off my gel press, I wanted to add just a tiny bit of color to my white card panel. After blending the same colors I used above, I then moved to a clean section of the gel press and lifted and tapped the brayer in different areas to get a random look. Just like for my planner, I used the small stylus from the Bloom Tool, dipped it in Black Licorice paint and added some dots. 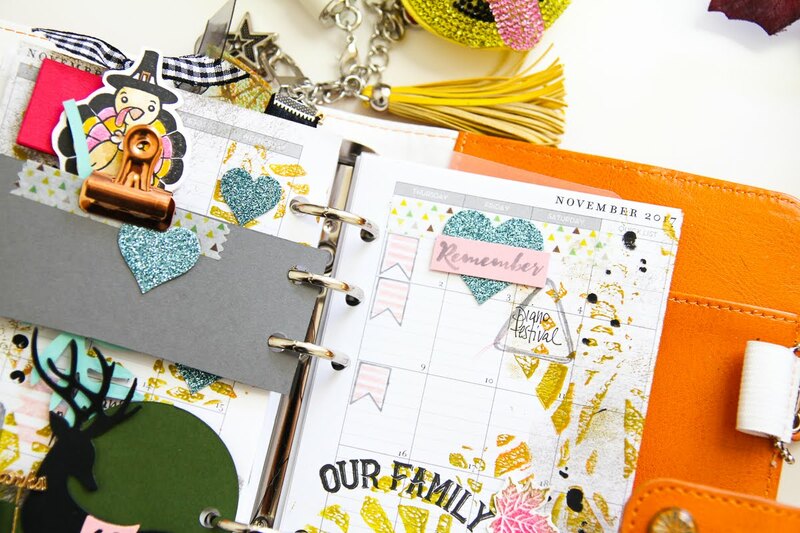 I think this is one of my new favorite planner spreads. Gets me ready for the holidays, gets me creating, and ready to enjoy! Grab all things planner, even the washi tape on sale while you can. Click here and find a coach to start adding to your cart. Enjoy and happy creating!! 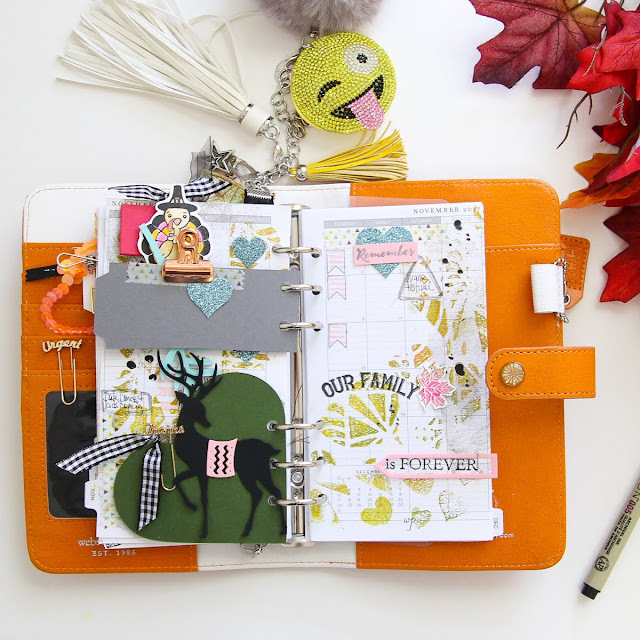 Pateicia, your planner page is amazing. I love that gelli print.